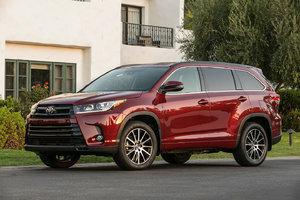 One of the most popular sport utility vehicles in its class, and one of the best-selling vehicles in Canada, is getting even better. One of the most popular sport utility vehicles in its class, and one of the best-selling vehicles in Canada, is getting even better. Indeed, the 2017 Toyota RAV4 adds new standard equipment this year while continuing to offer a perfect balance between driving pleasure, interior space and comfort. 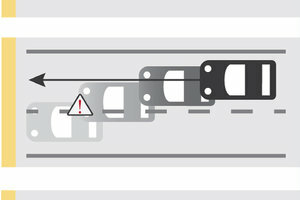 The biggest change to the 2017 Toyota RAV4 is certainly the addition of Toyota Safety Sense P, a suite of active safety technologies which includes adaptive cruise control, lane departure prevention system, high-beam headlight assist, and a pedestrian detection system with automatic braking. Available starting at $27,395, the 2017 Toyota RAV4 also comes standard with 8 airbags and a rear-view camera. Other changes made to the 2017 Toyota RAV4 include the addition of standard heated seats, automatic headlights and a 4.2-inch multifunction display. There is also a new Platinum group that includes an automatic tailgate, a Smart Entry system and a full color body. The 2017 Toyota RAV4 is powered out-of-the-gate by a 2.5-liter four-cylinder engine developing 176 horsepower. This engine is paired with a 6-speed automatic transmission that can send power to the front wheels or all four wheels. All-wheel drive is offered in the 2017 Toyota RAV4 starting at $29,660. The other engine option is a 2.5-liter four-cylinder engine paired with an electric motor for a total output of 194 horsepower. The 2017 Toyota RAV4 Hybrid is available starting at $34,405. 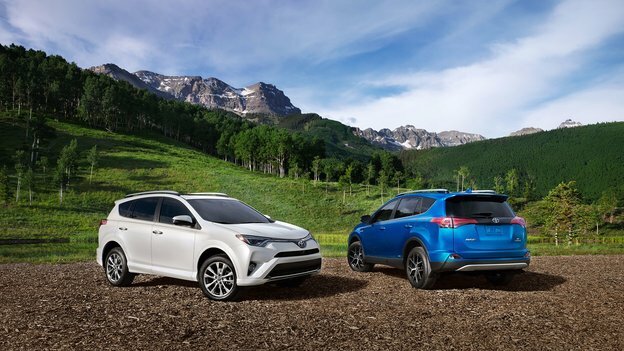 The 2017 RAV4’s versions offer something for everyone, but every model provides a rare combination of interior space and comfort to go along with impressive fuel economy and plenty of power. And of course, owners also enjoy Toyota’s legendary reliability. 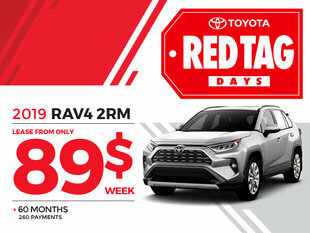 To learn more about the new 2017 Toyota RAV4, contact us today at Vimont Toyota Laval!